Deep red with a stripy undertone. Traditional sweet with a mild sweet finish. Perfect for eating out of hand, fresh cut with your favorite dip or a sweet addition to a cider blend. 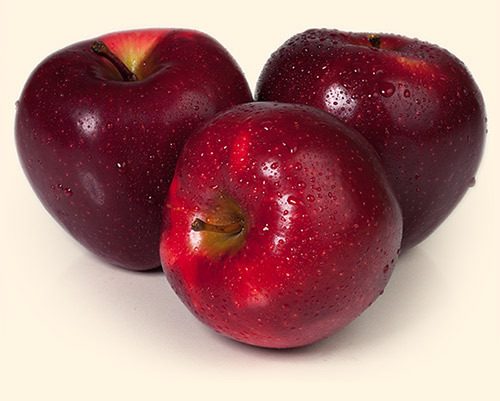 The Red Delicious was discovered in Peru, Iowa in 1880. Its parentage is unknown. Did you know? There are 42 sport strains of Red Delicious.